An assessment of new ‘sensitive’ troponin assays at presentation of chest pain patients in a real-world ED setting showed that a single troponin I assay at ED presentation has insufficient sensitivity for clinical use to rule out MI. Author Anne-Maree Kelly discusses the current requirement for a minimum interval after an episode of chest pain to ensure adequate sensitivity: Currently in Australia the recommended minimum interval is 8 h after symptom onset. New evidence suggests that a shorter interval might be appropriate with the sensitive assays. Keller et al. reported 100% sensitivity at 3 h after ED presentation. Macrae et al. suggested that an assay 6 h from pain onset or serial assays 3 h apart with one at least 6 h from pain onset has high diagnostic accuracy. Although further research in an ED chest pain cohort is needed, the weight of evidence suggests a reduction in the minimum interval from pain onset to 6 h might be appropriate. Aim: Troponin assays have high diagnostic value for myocardial infarction (MI), but sensitivity has been weak early after chest pain onset. New, so-called ‘sensitive’ troponin assays have recently been introduced. Two studies report high sensitivity for assays taken at ED presentation, but studied selected populations. Our aim was to evaluate the diagnostic performance for MI of a sensitive troponin assay measured at ED presentation in an unselected chest pain population without ECG evidence of ischaemia. Methods: This is a sub-study of a prospective cohort study of adult patients with potentially cardiac chest pain who underwent evaluation for acute coronary syndrome. Patients with clear ECG evidence of acute ischaemia or an alternative diagnosis were excluded. 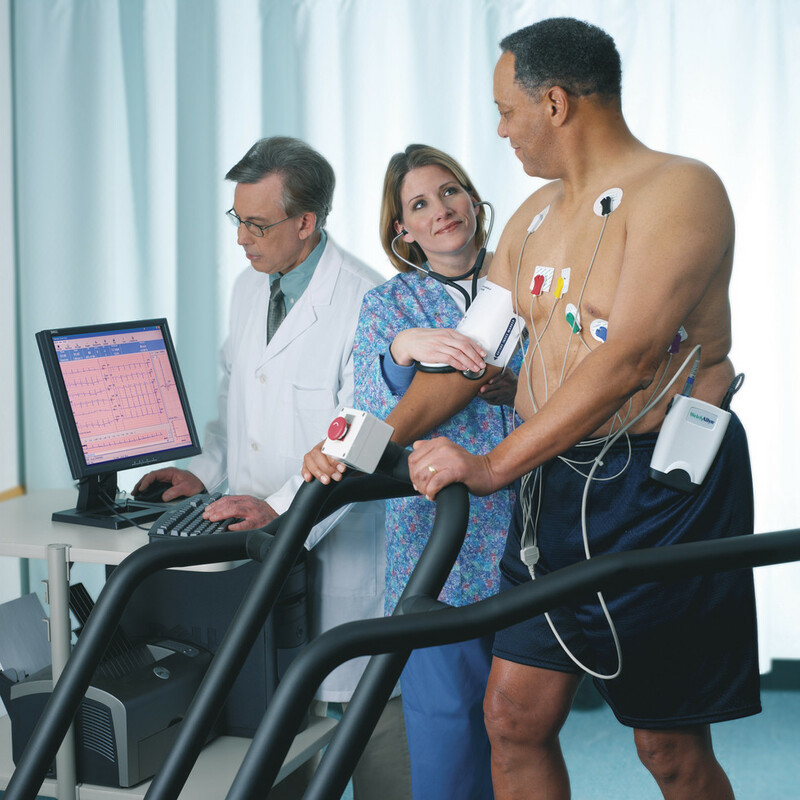 Data collected included demographic, clinical, ECG, biomarker and outcome data. A ‘positive’ troponin was defined as >99th percentile of the assay used. MI diagnosis was as judged by the treating cardiologist. The outcomes of interest were sensitivity, specificity and likelihood ratios (LR) for positive troponin assay taken at ED presentation. Data were analysed by clinical performance analysis. Results: Totally 952 were studied. Median age was 61 years; 56.4% were male and median TIMI score was 2. There were 129 MI (13.6, 95% CI 11.5-15.9). Sensitivity of TnI at ED presentation was 76.7% (95% CI 68.5-83.7%), specificity 93.6% (95% CI 91.7-95.1%), with LR positive 11.92 and LR negative 0.25. Conclusion: Sensitive TnI assay at ED presentation has insufficient diagnostic accuracy for detection of MI. Serial biomarker assays in patients with negative initial TnI are required. Performance of a sensitive troponin assay in the early diagnosis of acute myocardial infarction in the emergency department. Oxygen therapy in normoxic acute coronary syndrome patients is controversial, and a previous systematic review cautioned against it in uncomplicated MI. A volunteer study using cardiac imaging demonstrates the effects of supplemental oxygen on coronary blood flow. OBJECTIVES: Oxygen (O2) is a cornerstone in the treatment of critically ill patients, and the guidelines prescribe 10-15 l of O2/min even to those who are initially normoxic. Studies using indirect or invasive methods suggest, however, that supplemental O2 may have negative cardiovascular effects. The aim of this study was to test the hypothesis, using noninvasive cardiac magnetic resonance imaging, that inhaled supplemental O2 decreases cardiac output (CO) and coronary blood flow in healthy individuals. METHODS: Sixteen healthy individuals inhaled O2 at 1, 8 and 15 l/min through a standard reservoir bag mask. A 1.5 T magnetic resonance imaging scanner was used to measure stroke volume, CO and coronary sinus blood flow. Left ventricular (LV) perfusion was calculated as coronary sinus blood flow/LV mass. RESULTS: The O2 response was dose-dependent. At 15 l of O2/min, blood partial pressure of O2 increased from an average 11.7 to 51.0 kPa with no significant changes in blood partial pressure of CO2 or arterial blood pressure. At the same dose, LV perfusion decreased by 23% (P=0.005) and CO decreased by 10% (P=0.003) owing to a decrease in heart rate (by 9%, P<0.002), with no significant changes in stroke volume or LV dimensions. Owing to the decreased CO and LV perfusion, systemic and coronary O2 delivery fell by 4 and 11% at 8 l of O2/min, despite the increased blood oxygen content. CONCLUSION: Our data indicate that O2 administration decreases CO, LV perfusion and systemic and coronary O2 delivery in healthy individuals. Further research should address the effects of O2 therapy in normoxic patients. A summary of the literature on low risk chest pain, including history, physical exam, ECG, biomarkers, and investigations such as exercise tolerance testing, myocardial perfusion imaging, and other investigations, is provided in the American Heart Association’s recently published scientific statement. In patients with non-ST-segment elevation acute coronary syndromes who do not undergo early percutaneous coronary intervention, administration of platelet glycoprotein IIb/IIIa (GPIIb/IIIa) inhibitors, given in addition to aspirin and unfractionated heparin, does not reduce 30-day or 6-month mortality. For the composite endpoint of myocardial infarction or death, there was modest benefit at 30 days and 6 months; however, there was an increased risk of major hemorrhage among those receiving GPIIb/IIIa inhibitors. Gp IIB/IIIA receptor inhibition is the common final link of platelet aggregation. Eptifibatide and tirofiban lead to reversible inhibition, while abciximab leads to irreversible inhibition of the Gp IIB/IIIA receptor. Older studies from the pre-stent era mostly support the use of this class of drugs. Newer studies mostly document neutral or worsened outcomes. Finally in most supporting, as well as neutral or opposing studies, bleeding occurred in more patients treated with Gp IIB/IIIA receptor blockers. There are insufficient data to support routine pre-treatment with Gp IIB/IIIA inhibitors in patients with STEMI or non-STEMI-ACS. For high-risk patients with non-STEMI-ACS, in-hospital upstream treatment with eptifibatide or tirofiban may be acceptable whereas abciximab may be given only in the context of PCI. Newer alternatives for antiplatelet treatment should be considered because of the increased bleeding risk with Gp IIB/IIIA inhibitors when used with heparins.